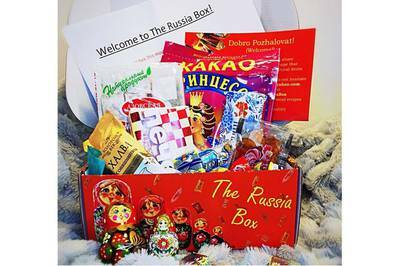 Enter your email address below to receive a notification when The Russia Box starts accepting new sign-ups! 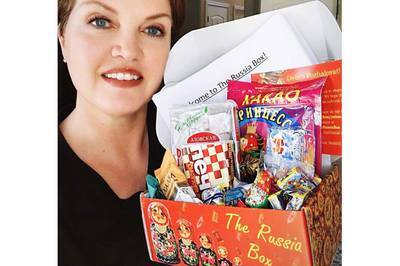 Enter your email address below to receive a notification when The Russia Box is accepting new sign-ups again. 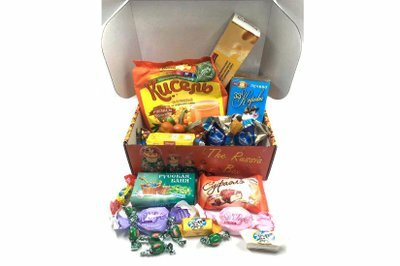 Use code MOMSDAY to get $3 OFF your first box! 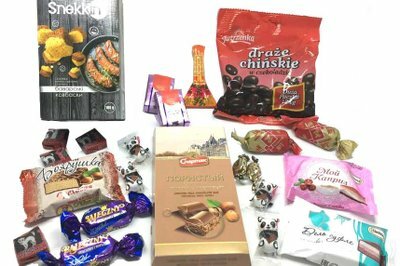 We ship between the 1st and 15th of every month. Please sign up by the end of the previous month. And enjoy our discounted $6.95 shipping within the US! 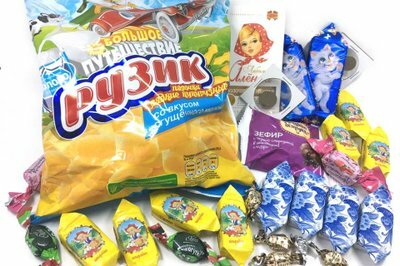 The items included in this box or package may contain or have come into contact with WHEAT, EGGS, PEANUTS, TREE NUTS, MILK, SOY, SHELLFISH and other allergens. 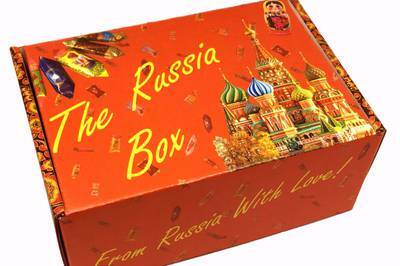 The Russia Box - A Delicious Adventure! 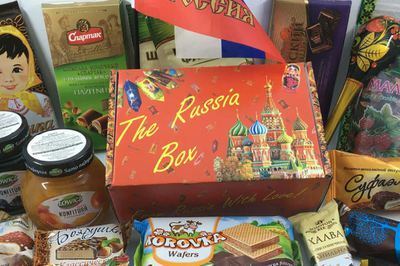 Explore Russia's festivals and culture through authentic Russian, Soviet, Slavic and Eastern European snacks and lifestyle items! 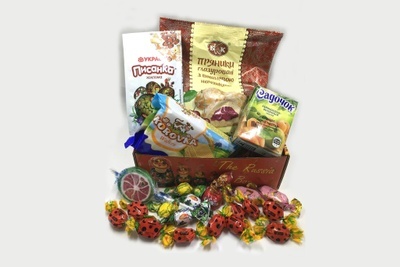 Each snack box consists of carefully selected items sent directly to your door, monthly or quarterly. 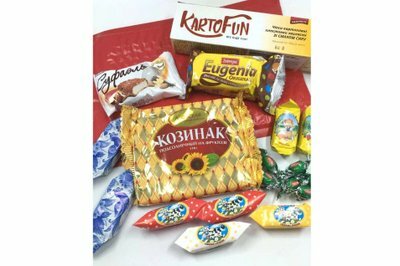 An amazingly unique, enjoyable and educational gift for you or your loved ones! 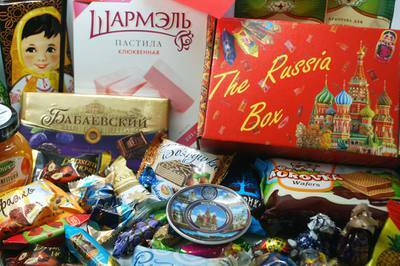 Lifestyle Items may include traditional Russian Arts & Crafts, Figurines, Games, Souvenirs, Dishware, Tea Accessories, Matreshkas, Ghzel, Khokhlama, etc. 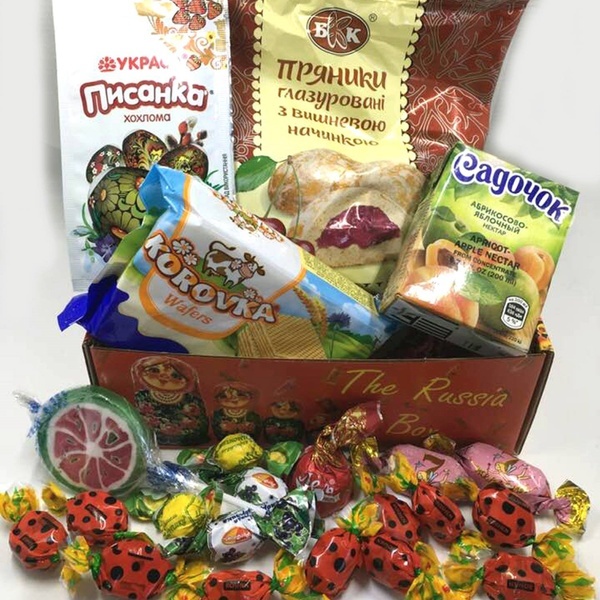 Each Russia Box contains 1 or 2 large items, 5 to 10 small to medium snack items and 1 genuine cultural item. 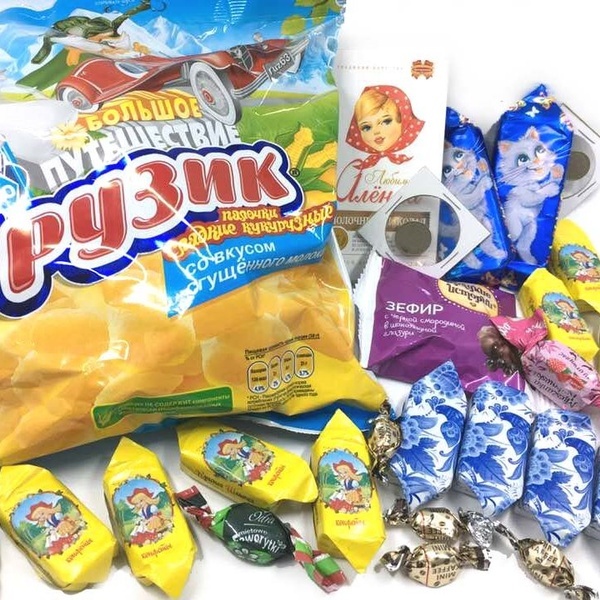 Each Russian Snack Pack contains 1 medium item and 4 to 6 small items. 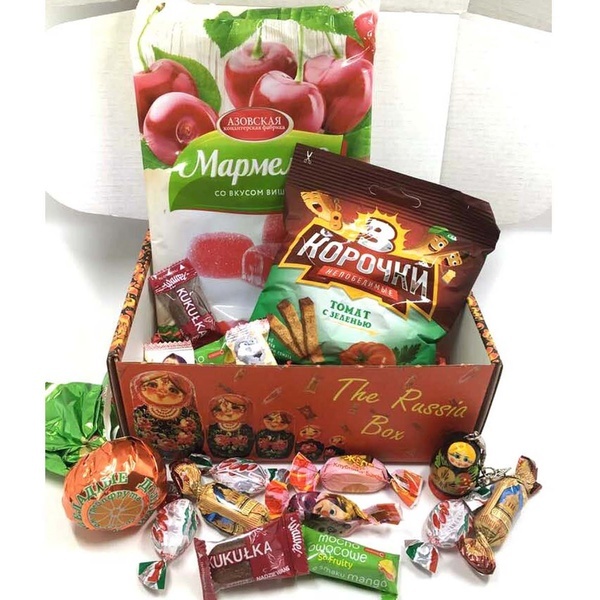 The Russia Box September: "Soviet Nostalgia"
This box featured 10 different types of snacks, approximately 22 items and two authentic circulated soviet coins (items may have varied). 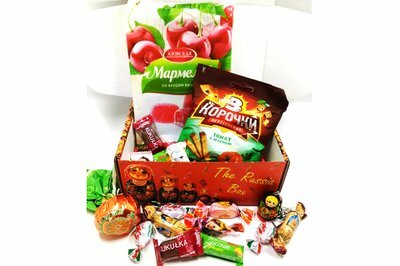 The Russia Box August: "Russian Flavors of Summer"
This box featured 8-10 different types of snacks, approximately 20 items and a Matryoshka Key Chain (items may have varied). 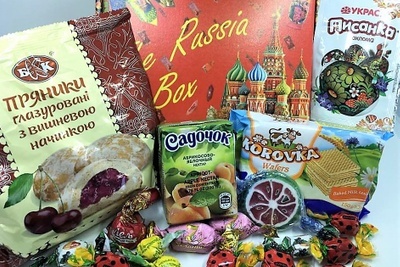 The Russian Box March: "Rolling in the Spring"
This box featured 9 different types of snacks, approximately 21 items and a Khokhloma Egg Coloring Kit (items may have varied).